First impressions: As Saturday’s second scrimmage pointed out, there’s no question there’s competition and much battling going on. The players know who’s emerging because they play against each other, and the coaches know because they watch it all on film every day. But do they agree with each other’s evaluations? The good news is that there is competition, but the at the end of spring, will the players and coaches agree with the depth chart? Of course, it doesn’t always happen, but it is nice when it does. As for controlled Scrimmage No. 2, not a full blown, two hours of 11-on-11, it had some individual surprise and not-so-surprising performances. Individual players seem to be getting better on both sides of the ball, but it’s still uncertain if the team as a whole is where everybody would like it to be. Truthfully, we really won’t know until the 2019 Trojans play somebody other than themselves. As for Saturday’s second scrimmage, the overall consensus left onlookers trying to figure out how to determine what they had seen. As much as anything, there appears to be major improvement – at least in spring – in discipline on both sides of the ball. 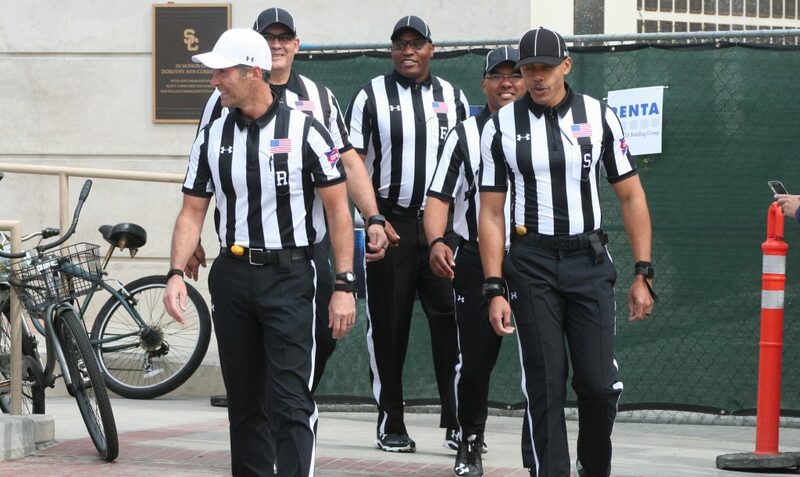 Attribute that change to Clay Helton bringing in officials to hold players accountable for their spring practice actions. First impressions – offense: No question about it, watching true freshman quarterback Kedon Slovis (photo above) run the offense with the first O-line was inspiring and somewhat of an eye-opener. Kedon showed that he is not at a disadvantage in learning the new offensive playbook because the other three veteran quarterbacks (JT Daniels, Jack Sears, Matt Fink) are also in the same boat. Obviously, Saturday’s “scrimmage” was for Kedon Slovis to show what he had, and he showed plenty, leading his team on drives that showcased he was no “throw-in” recruit for the class of 2019. 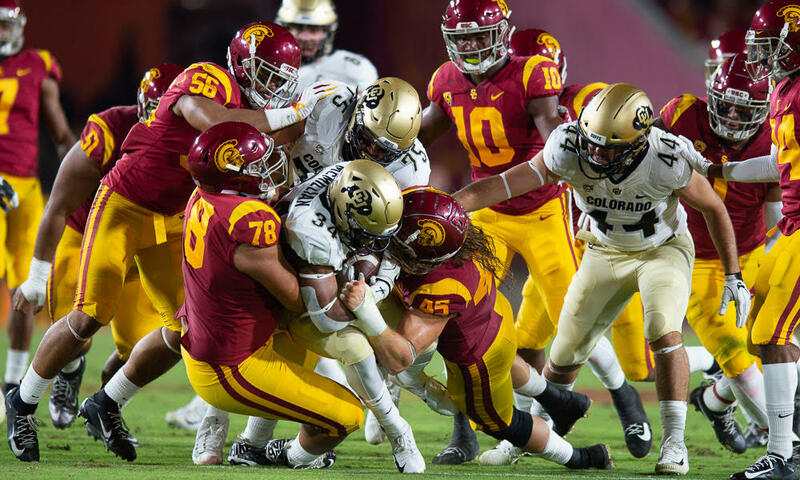 Clay Helton says he’s was pleased with his offensive line, led by tackles Austin Jackson and Jalen McKenzie – but while the front five was productive on Saturday, there remains a serious question regarding offensive line depth. No need to evaluate the receiving unit, they again showed like an elite group except for a few drops here and there. However, the running backs competition didn’t show a clear leader, but junior Vavae Malepeai did rip off an explosive run. Because of depth issues at tight end, the Trojans did feature some two-back sets. 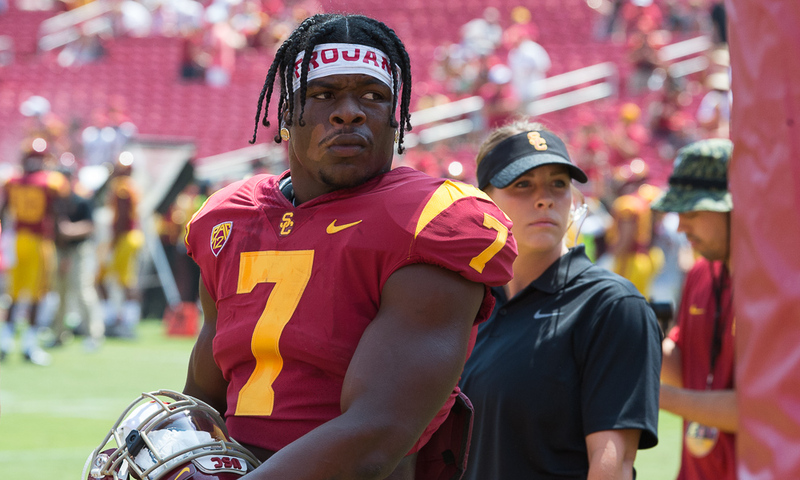 Perhaps the biggest legitimate mystery on the team, however, is the progress of junior running back Stephen Carr, the once highly touted running back out of Fontana (Calif.) Summit. Some have questioned his motivation for competition, but the kid deserves some slack to his depressing back surgery return, which is no easy deal to recover from both physically and mentally. Don’t underestimate Stephen as he works to regain his freshman form. 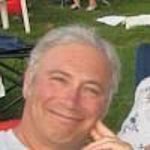 First impressions – defense: Boy, how do you get a good look at a defense that is lacking bodies and depth in the secondary, and potential starters are on the sidelines with various ailments? Yeah, it only counts beginning in August training camp, but the spring is where you learn to communicate. With safety Talanoa Hufanga out with collarbone surgery for eight weeks, sure it gives some others a chance to show their talents, but realistically you want to lay the foundation of secondary communication. However, on Saturday, the defense was led by sophomore monster tackle Jay Tufele, who really is on the road to being one of the Pac-12’s best. 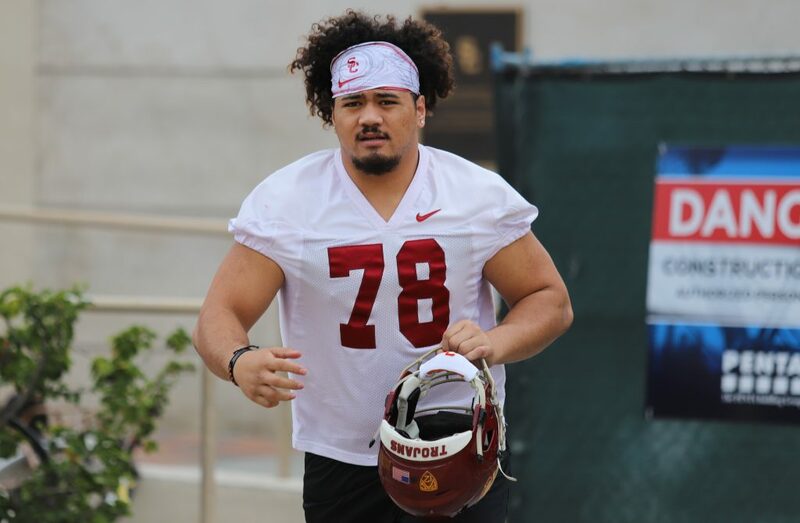 While the offense was able to move on the defense, you still had to like the aggressiveness and active nature of the D-line, a credit to both players and first-year D-line coach Chad Kauha’aha’a. As for the inside linebackers, the Trojans still looked susceptible to offenses that come straight at you. With a scaled down playbook and some disciplined packages, D-coordinator Clancy Pendergast, who is also under scrutiny in 2019, appears to have made some spring progress. However, it’s hard to tell how good the defense is when there are questions regarding the true potency of the offense. First impressions – special teams: Sounding like a broken record, redshirt freshman punter Ben Griffiths on Saturday continued to turn a football into a version of a pitcher that can throw some major “velo” heat and also turn a football into a Phil Niekro knuckleball. Expect to see a number of opponent turnovers when Big Ben boots’em. 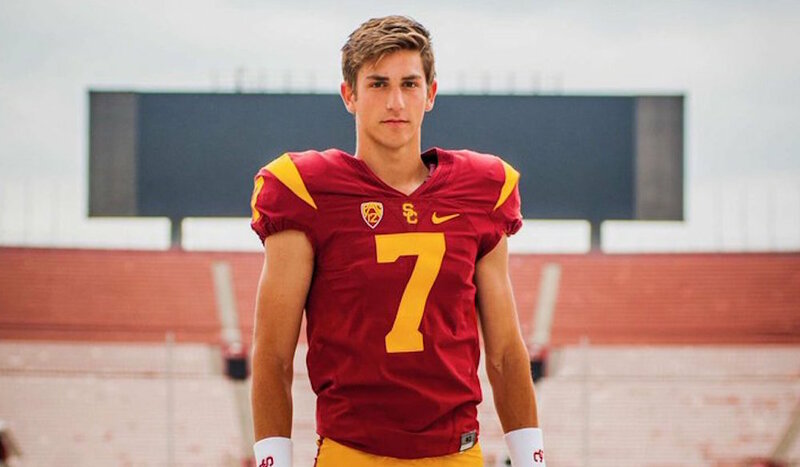 The prom: True freshman quarterback Kedon Slovis got a lot of publicity when Clay Helton said the kid asked permission of the head coach to attend his high school prom, since Kedon was a mid-year grad of Desert Mountain High in Scottsdale, Ariz. To be clear, the prom is next month. It’s official: As mentioned, Clay Helton think that his team’s discipline has been enhanced by having officials work his scrimmages and practices. Helton said, “When I’m watching the tape, I’m not seeing a bunch of holding calls. I’m not seeing us out of position. I think we’re doing the proper things to not only win our matchups but not create penalties. Our guys understand now that there are repercussions. As soon as the right tackle jumps offsides, he’s out. They understand what comes with that type of error.” We’ll see if having next weekend’s scrimmage televised and more fans in the stands changes any of the optimism. A reminder: Next Saturday’s Scrimmage No. 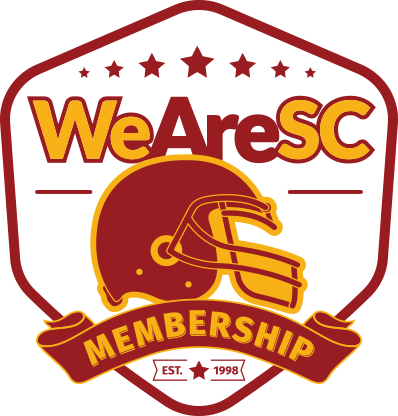 3, The USC Spring Football Showcase, will commence at 11 a.m. on Cromwell Field at the Loker Track Stadium and will be televised by the Pac-12 network. Spring has sprung: Traditionally, a spring game comes at the end of spring practice. 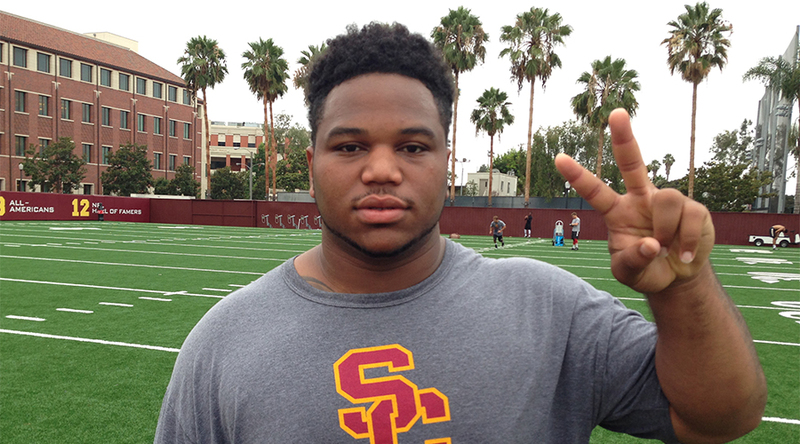 However, in the case of the Trojans, there will be three more practices following next Saturday’s scrimmage. The last practice will be Saturday, April 13, which will collide with the enthusiastically attended Los Angeles Times Festival of Books. The Festival of Books will begin at 10 a.m., which runs parallel to the last spring practice. Ya think parking is going to be a cluster whatsyamacallit? Bringing the Wood: Another former Trojan who has shown up this spring and has illustrated that “fight on” spirit both is D-lineman Antwaun Woods, who had a sensational season with the Dallas Cowboys. You never know when a player will get serious about his future. Woods got serious after his first couple of seasons at Troy and has made a major breakthrough with the Cowboys. Everybody matures at a different rate, and Antwaun now shines brightly for the foreseeable future . 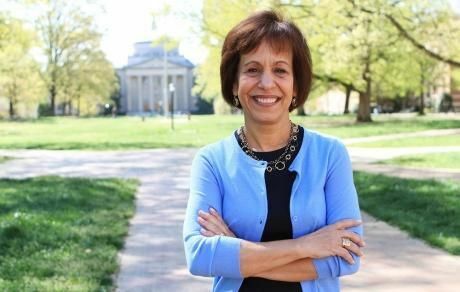 Will new USC Prez, Dr. Carol Folt have a say in the controversial LA Coliseum title naming? In memory: Funeral services for the late Art Mazmanian, the All-American second baseman on USC’s first College World Series champions and then the successful head coach at Dorsey High and Mt. San Antonio Junior College, have been set for April 12 in San Dimas, Calif. Mazmanian died on March 22 at the age of 91. Services will be at 11 a.m. at Christ’s Church of the Valley (1404 W. Covina Blvd., San Dimas 91773). In lieu of flowers, the family requests donations to the Art Mazmanian Memorial Fund, Mt. SAC Foundation (1100 No. Grand Ave., Walnut, Calif. 91789). New rules: The NCAA football rules committee met in Indianapolis in late February and voted to recommend a number of changes for the 2019 season. These are subject to approval by the Playing Rules Oversight Panel (PROP), which will meet in April. Under the NCAA’s two-year rules process, 2019 is an “off year” for any changes other than those that directly impact the safety of the players. Player-safety rules are always on the table, and this year there are several changes in that category. Targeting: The targeting foul has been one of the key rules in college football for a number of years and the Trojans have had their share. It carries the most severe penalty in the game: player disqualification. The rule calls for a player committing a targeting foul that is sustained by Instant Replay to be ejected from the game and suspended for the next half of play. This means that a player disqualified in the second half must also sit out the first half of his team’s next game. Targeting – Part 2: This year, the rules committee further strengthened the penalty, addressing the issue of repeat offenders. Under the new rule, a player who is ejected for a second or more targeting foul anytime during the season will be ineligible for the entire next game. So, for example, suppose a player is disqualified for targeting in the opening game of the season. If he then is ejected for a targeting foul anytime during the rest of the season, he will be suspended for the entire next game. It doesn’t matter when this additional foul happens: whether it’s in the first quarter or the fourth quarter, he will be ineligible for the whole next game. Instant replay: The role of instant replay in administering the targeting foul is also being changed. Every targeting foul goes for instant replay review, as in the past, but now the replay official is to look at all aspects of the play and make one of two rulings: either the call on the field is confirmed or it is overturned. A ruling of “Stands” will no longer be possible for a targeting review. Wedge blocking on kickoffs: For a number of years, the three-man wedge has been illegal on kickoffs. This is when three players on the receiving team align shoulder-to-shoulder within two yards of each other to block for the ball carrier. Beginning in 2019, this rule is even more restrictive: the two-man wedge will be illegal and will carry a 15-yard penalty. As in the past, the wedge is not illegal during an onside kick or when the play results in a touchback. The only change is that the two-man wedge is outlawed. Blindside blocks: A player delivers a blindside block when the opponent cannot see the block coming in time to defend himself. For a number of years such a block has been outlawed as a targeting foul if it includes forcible contact to the head or neck area. In 2019, the new rules will broaden the restrictions for blindside blocks. It will now be illegal to deliver a blindside block by attacking an opponent with forcible contact, no matter where the contact is made. The words attacking and forcible will be key for the officials on the field in calling this foul. If the contact is to the head or neck area, it is still a targeting foul. But now it will be a personal foul even if the head or neck of the player being blocked is not involved. The blindside block foul will carry a 15-yard penalty. Overtime: This past season featured a game that went for seven extra periods. Although the vast majority of overtime games are decided much sooner – say, in two or three extra periods – there is the occasional game that goes longer. The rules committee feels that players may become extremely fatigued in such long games, thus making them much more susceptible to injury. 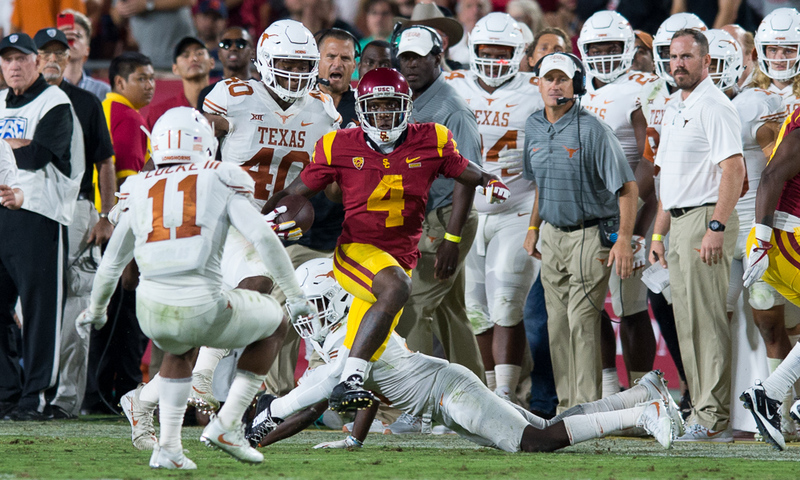 Remember the Trojans double overtime victory over Texas in 2017? Overtime – Part 2: Beginning in 2019, starting with the fifth overtime, each team will have one play: a two-point conversion attempt from the three-yard line. For a number of years, beginning with the third overtime a team that scores a touchdown must attempt a two-point conversion. This will still be true for the third and fourth overtimes. But beginning with the fifth overtime, the new one-play-per-team rule will take effect. The last word: So now there are just six spring practices left (five in pads and one in helmets), and one could argue those next half dozen exercises will position players for serious starting positions come training camp in August. However, for the immediate future, the next two Saturday scrimmages will highlight what should be a very interesting April conclusion. One thing Clay Helton has already announced, he will not pick a starting quarterback at the conclusion of spring practice, so that in itself will be considered a competition halftime.